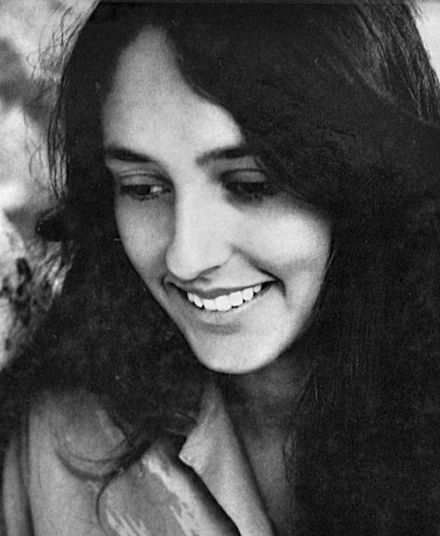 Joan Baez has released over 30 albums and recorded songs in six different languages. She was inducted into the Rock and Roll Hall of Fame in 2017. The lyrics for this song are derived from a 1911 poem by James Oppenheim, which was itself derived from a speech by Rose Schneiderman, the early feminist and union leader who drew attention to the unsafe workplace conditions that female laborers faced. Schneiderman, an immigrant Jew from Chelm, Poland, proclaimed the following: 'What the woman who labors wants is the right to live, not simply exist—the right to life as the rich woman has the right to life, and the sun and music and art. You have nothing that the humblest worker has not a right to have also. The worker must have bread, but she must have roses, too. Help, you women of privilege, give her the ballot to fight with.' The phrase "Bread and Roses" would go on to become associated with the successful textile strike in Lawrence, Massachusetts in 1912. It was particularly appealing to workers because it demanded dignity and respect, in addition to economic equality. Schneiderman died in New York City on August 11, 1972, at age ninety. Her memoirs were published a few years prior to her death, under the title All for One. As we go marching, marching, in the beauty of the day A million darkened kitchens, a thousand mill lofts gray Are touched with all the radiance that a sudden sun discloses For the people hear us singing, bread and roses, bread and roses. As we come marching, marching, we battle too, for men, For they are in the struggle and together we shall win. Our days shall not be sweated from birth until life closes, Hearts starve as well as bodies, give us bread, but give us roses. As we come marching, marching, un-numbered women dead Go crying through our singing their ancient call for bread, Small art and love and beauty their trudging spirits knew Yes, it is bread we. fight for, but we fight for roses, too. As we go marching, marching, we're standing proud and tall. The rising of the women means the rising of us all. No more the drudge and idler, ten that toil where one reposes, But a sharing of life's glories, bread and roses, bread and roses.